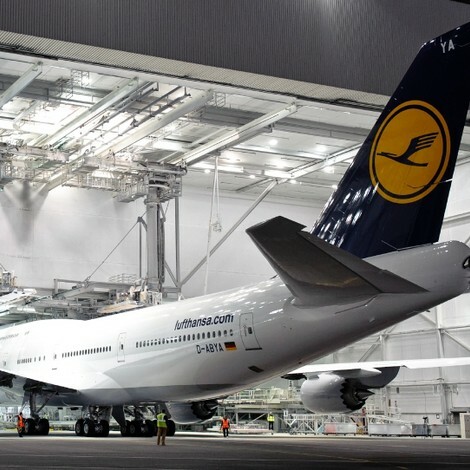 Lufthansa will finish rolling-out its new premium economy product across its Boeing 747-8 fleet nine days earlier than scheduled. Originally earmarked to be completed by December 1 (see news, March 5), the new travel class will now be available from November 22 thanks to faster-than-expected delivery of the new B747-8s and quicker conversion of existing aircraft. Destinations served by the B747-8 that will feature premium economy are Bangalore, Buenos Aires, Chicago, Hong Kong, Los Angeles, Mexico City, Peking, Sao Paolo, Seoul, Tokyo-Haneda and Washington DC. 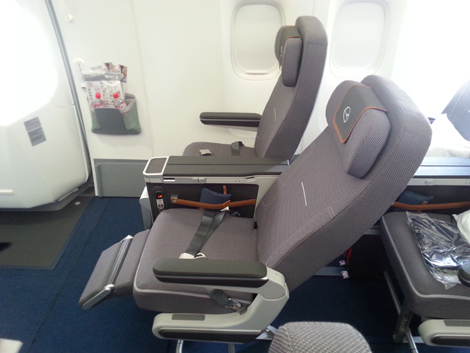 Lufthansa will next retrofitted the new premium economy on the rest of its long-haul fleet by summer 2015 and on all new deliveries. In addition to the new seat, premium economy passengers will enjoy double the economy baggage allowance. For a fee of 25 euros (US$31), they will also be afforded entry into the Lufthansa business lounges prior to boarding. Premium economy perks such as welcome drinks and amenity kits (each includes a water bottle and power socket) will also be available. Meals will be presented in menus and served on china tableware. To celebrate the launch of the new cabin product, all premium economy fares can be booked at a 15 per cent discount until December 9. In addition, passengers who have already booked to travel in economy class can pay to upgrade their seat at a Lufthansa travel agency partner or by phoning the Lufthansa Service Centre. To read a review of the new premium economy class on its inaugural flight from Frankfurt to Washington Dulles, click here.